Smart energy management using sonnen ecoLinx, Eaton and Control4. Control4 systems now can control the clean energy stored in ecoLinx batteries dynamically in their smart home. Energy automation is the convergence of home automation and energy management, specifically enabling intelligent energy storage to manage how smart homes are powered including the addition of clean energy. The ecoLinx “energy ecosystem” augments Control4 systems by integrating them with residential solar and energy storage, bringing clean tech to smart homes and enabling the ecoLinx to manage how energy is consumed and devices are powered throughout the home. The operation of a smart home can be significantly enhanced by properly controlling how homes use energy. Traditional use cases center the home automation experience on providing the ultimate comfort and convenience to the homeowner by tailoring each system to their specific needs and wants. Smart homes, with energy automation, take this experience to another level by managing the energy consumption of the home without requiring the owner to plan or react to changes in energy availability, e.g., power outages or peak times of day. sonnen ecoLinx This is your intelligent energy storage system that manages all controllability use cases related to dynamic energy changes. Control4 System using EA class or better technology. Control4 T3 Touchscreens for communication with ecoLinx dashboard. Energy Automation Control Software: The ultra-smart, flexible, user-friendly control system architecture that integrates with ecoLinx and Control4 systems to provide energy automation, developed in partnership with Cinegration. Renewable Energy Source (Typically PV system): On-site alternative source of energy to offset potential loss of grid power and provide access to clean energy. Controllable lights: Allows for the management of lights accordingly during power-relevant events (using devices such as Lutron or Control4 dimmers). Controllable shades: Allows for the management of scenes that could benefit from reducing the exposure to natural light. Controllable thermostats: Efficient link to HVAC systems without the need of complicated control schemes which ties in well with the management of comfort levels during power-relevant events. Eaton's intelligent circuit breaker (Energy Management Circuit Breaker, or EMCB): Provide cloud-based connectivity for efficient load-monitoring and remote communication and smart energy management across the home’s many connected devices. This integration requires an Eaton driver, which was developed by Cinegration. Power control devices like WattBox or Luxul PDU devices (controlled by the Cinegration Power Agent Driver). A power outage occurs and the ecoLinx begins providing backup power to the main panel (which is also feeding the home network equipment). The Control4 driver determines the amount of energy left on the battery based on current consumption then activates the customized backup profile for this event. The driver will then configure home based on profile selected and continue to monitor power usage. Dealers also can configure home actions when power is restored, thereby returning devices back on and life back to normal. The sonnen ecoLinx Control4 driver also uses weather forecast data to dynamically modify the ecoLinx’s backup reserve setting. For example, if the energy automation system detects a severe thunderstorm warning in the user’s area, the system will automatically increase the ecoLinx unit’s energy reserve percentage 100% to prepare the user for the incoming storm and potential loss of grid power. This further enhances the level of flexibility as it then can reserve the battery capacity for backup when it is really needed. In a static configuration this can lead to losing the optimization range when the likelihood of a power outage is very low. This is currently only available for US based customers. Control4 dealers can customize load shedding and load shifting principles via Composer programming actions. What this means is that the ecoLinx works with the home automation system to decrease load usage and discharge the battery when appropriate. Let’s say a customer wants to employ their ecoLinx in daily cycling during their peak time-of-use (TOU) window to effectively “flood the peak”. In a TOU scenario, the energy automation system employs load shedding to maximize the amount of energy the ecoLinx provides during the peak period. If, for example, the energy automation system lowered the shades, dimmed the lights, increased the thermostat by 1-2 degrees, and turned off non-essential loads that could decrease consumption by say 2,000W. On a 10 kWh ecoLinx, that is an additional 2 hours’ worth of energy that can be used to “flood the peak” instead of contributing to the peak. Most importantly, the sonnen ecoLinx discharges its stored off-peak power and locally-generated stored sunlight, to meet the majority of the home’s load during this expensive, dirty peak time, rendering the home invisible to the grid, while saving money. With the smart demand control and load management capabilities now available to Control4 systems, the natural extension of this feature would be to allow for utility demand response program integration. Thus, providing ecoLinx owners and utilities benefits from programs in place to utilize the ecoLinx’s dynamic clean energy capacity that would be dispatchable on demand. As the energy and home automation ecosystems expand the ecoLinx will remain the link that allows for the application of other use cases the can leverage further management of loads for the better optimization of the operation of a smart home. When generating PV (solar) energy. The ecoLinx is an intelligent energy storage system for smart homes. Control and improve the quality of life of any home by incorporating Control4 smart home technology with smart energy. Use power efficiently by configuring home ‘profiles’ for maximum energy savings and lifestyle improvement. These profiles are triggered during power outages, critical weather events, and utility demand alerts, configuring the home automatically without homeowner interaction. Dealers can customize the profiles via Cinegration’s fast configuration tool in the driver properties. 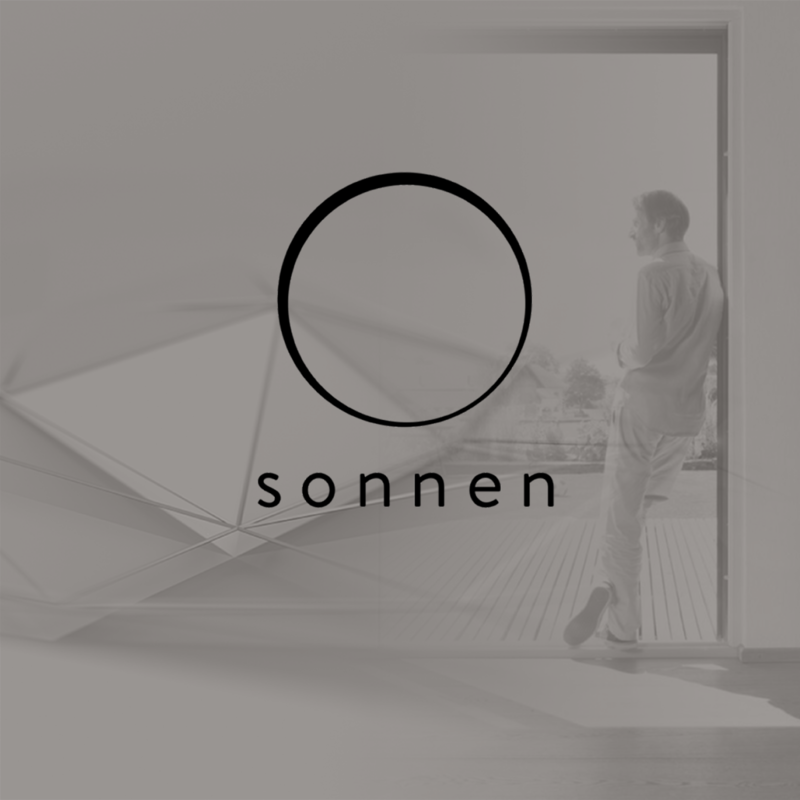 With a T3 touchscreen, the customer will receive custom reports and access to the sonnen dashboard. The customer can remotely see the current profile and battery levels. Clicking on the icon will send a popup of the same custom report. All reports and popups are pre-designed and no additional programming is required! The Cinegration sonnen ecoLinx Control4 Driver creates the perfect platform for smart home technology and energy storage. Install driver (c4z) file in your Control4 driver’s folder. Dealer can define which devices, loads, and rooms turn off, have announcements fire automatically and configure smart home when power is lost. When a severe weather alert happens, the driver will send an alert to Touchscreens and mobile devices via push notification. 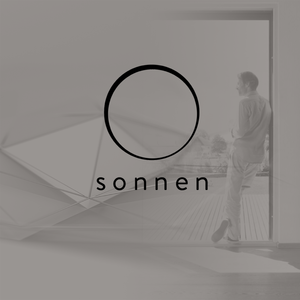 When customer clicks on sonnen icon, this profile will execute. Double tapping icon will cancel request. If customer does not click on icon after 5 minutes profile will execute automatically. List is comma delimited, so a , MUST be the final character. Removing Warning at the end of keyword will have both Watch and Warnings trigger. Example, Customer may want to be notified of both Thunderstorm Watch AND Warning events. In this case, the dealer would remove the word Warning from Thunderstorm Warning. Common use case for weather alert is to increase the power reserved for emergencies to 100% (when not in a weather event, power reserve is typically set to 20%). Used when utility company requests excess energy from battery or Utility demand response. Normally a home will either be in Self Consumption (meaning the battery will discharge its energy into the home as the home requests. If there is solar, the battery will charge). Time of Use is used with TOU utility rate plans and allows customers to configure when the power in the battery is distributed in home. Dealer can also build scheduled events to configure home for proper TOU period. 4) Once you have your project connected with DriverCentral.io your driver will be automatically licensed, and auto update will be active. Icon Style – This option contains different icons that can be used on the driver. Weather and Polling Timers– The check in time for weather data and device communication. Energy Log: Save Time and Days – The internal driver recording system for energy usage. Adjust these per data storage requirements. The driver supports many different events or ‘When’ as in ‘When this happens’. Use these as triggers to do something in the smart home when they happen. Conditional programming can be added in easily. Use these for customizing a ‘when’. If more discrete control is needed, use driver variables. Get creative and really make the home smart. Events, Conditional and Commands are the gateways to customizing the Control4 system for every homeowner. Here is an example of a conditional in practice. In this example, when a Winter Storm weather alert is received for the area, the Control4 system will turn on the snow melt on the driveway. Cinegration strives to provide fully working drivers without defects. However, changes and bugs may be found. Because of this, any bug/maintenance update to this driver will be free of charge. However, due to the ever-changing nature of computer and audio/video systems, if a new version of the Control4® software creates issues with this driver, or feature enhancements, an upgrade version will be provided.